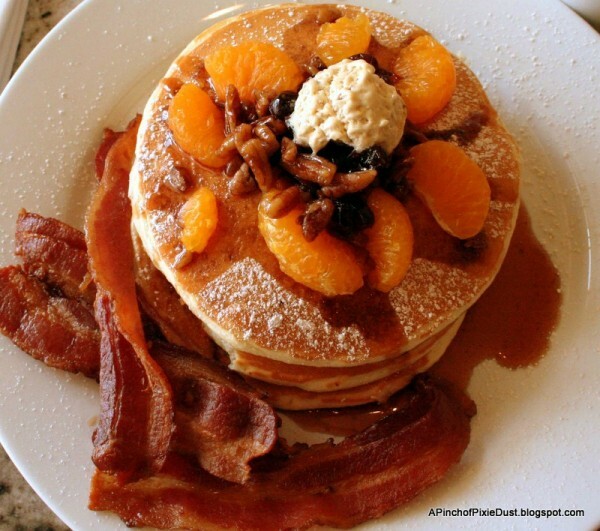 Join us in welcoming Emma S. with a review of the Grand Floridian Cafe’s elegant breakfast. Visitors to Disney’s Grand Floridian Resort are certainly not lacking in restaurant options: from character buffets and tea parties to gourmet, multi-course dinners, the Grand has it all when it comes to dining! 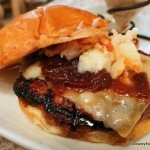 With so many eye-catching choices, there’s one little restaurant that can get overlooked. 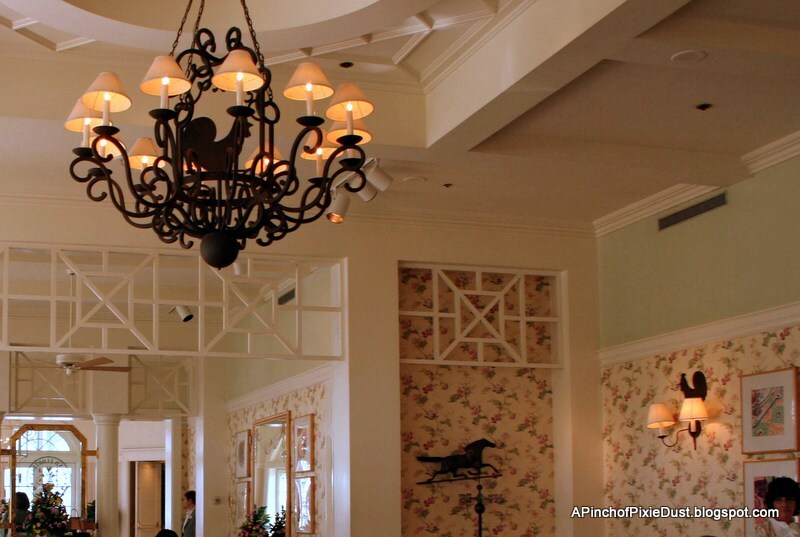 The Grand Floridian Café occupies a charming corner on the ground floor, offers meals all day long, and usually has availability for walk-ups. One morning my brother and I decided to give the breakfast here a try. 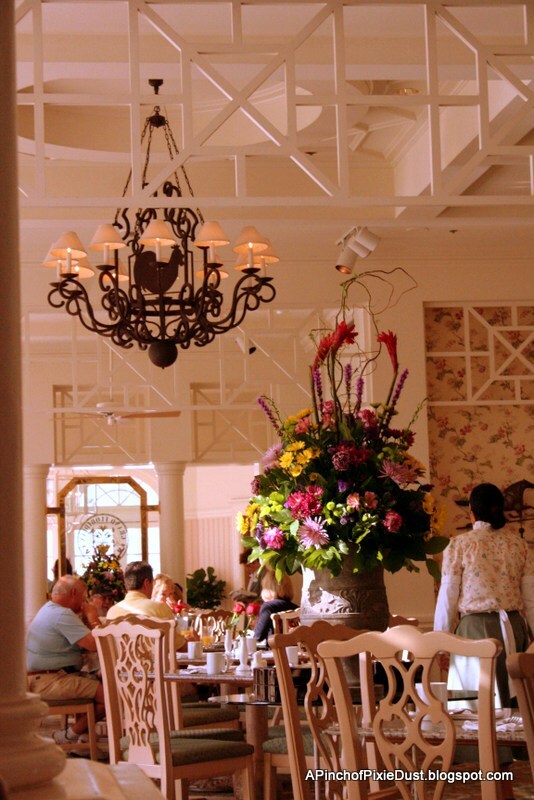 As soon as you enter the Grand Floridian Café, you feel any vacation vexations melt away. Lots of spaces around Disney can have that magical effect, but this one seems to be especially calming. The colors are all quiet creams and pastels. Giant, lace-draped windows line one wall of the restaurant, and the other is filled with quirky rooster sconces and pretty paintings. On perusing the menu, you find that the Grand Floridian Café had most of the breakfast standards – omelets, fruit plates, Mickey waffles, and more. I wasn’t quite brave enough to try to the Lobster Eggs Benedict, although it seemed an extremely appropriate breakfast item for a menu at the Grand to have! I was a little nervous about all those flavors and fillings – my usual pancake-of-choice is just good ol’ chocolate chip. As it turned out there was nothing to worry about; the pecans and cranberries were sprinkled on top rather than mixed in the batter. I really enjoyed the citrus butter and the oranges on top as well – a little bit sweet, a little bit tart, definitely yum. The pancakes themselves were very nice, light and fluffy, but I thought it was the toppings that made this dish stand out as uniquely delicious. 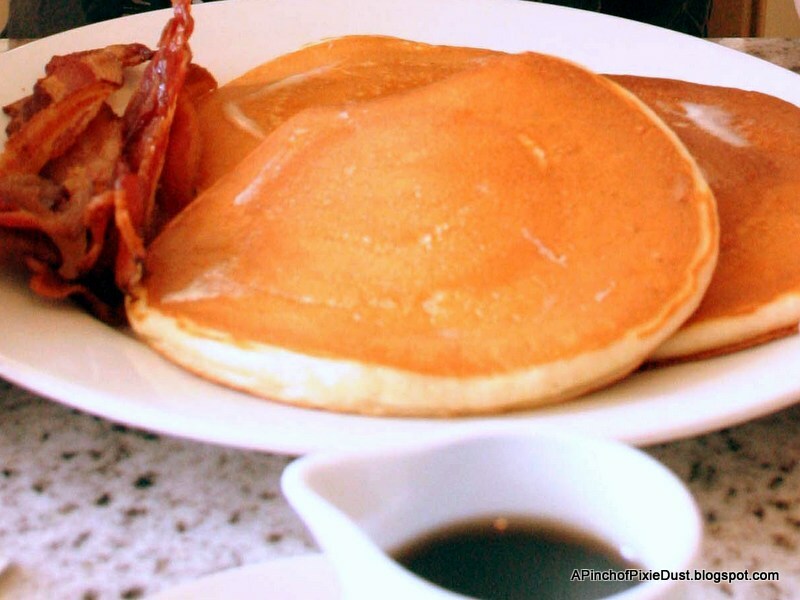 These Pancakes are Ready for their Close-Up! I was hoping he would get it again so I could sneak a bite (what, just a small one! lol. ), but alas, he decided to try the buttermilk pancakes ($10.99). He thought the pancakes were tasty, and we both agreed we really liked the bacon – just the right balance between chewy and crispy. For a beverage I ordered tea and was brought out a sweet little white tea pot. 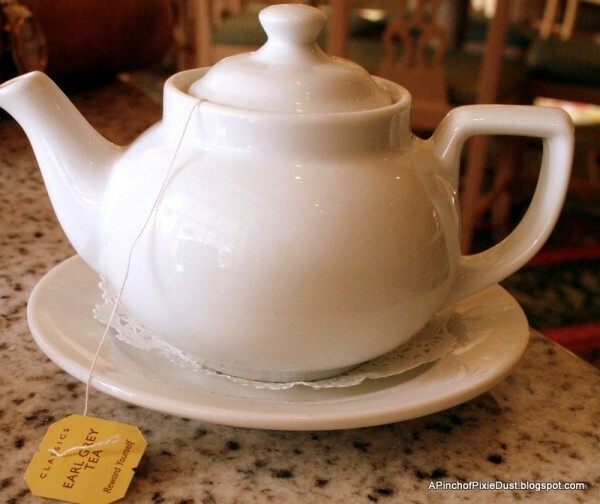 I love tea in whatever cup it comes in, but somehow pouring it out of a darling tea pot gives it an extra nice flavor! 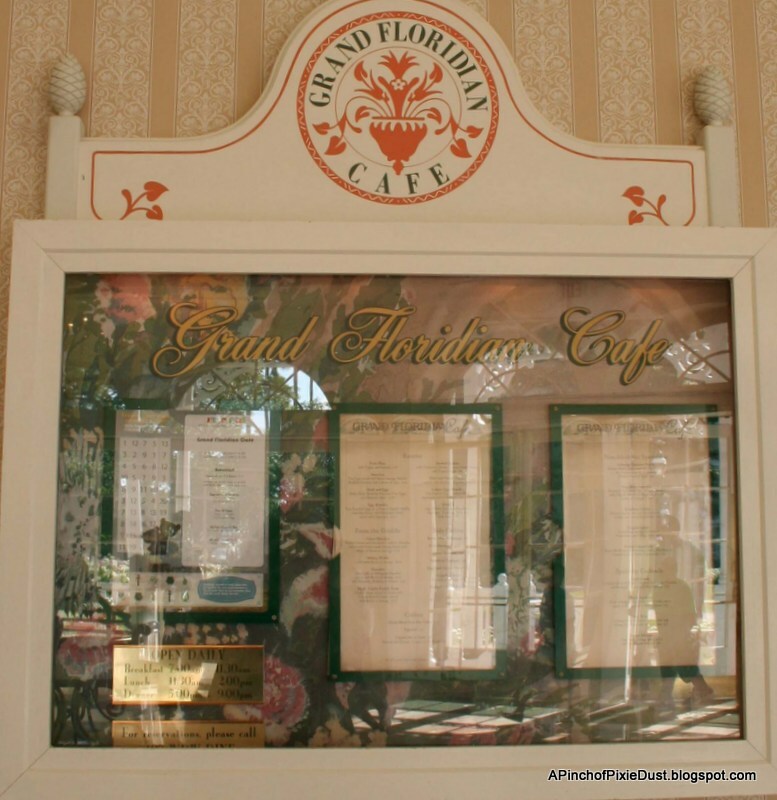 We really did have a grand breakfast experience at the Grand Floridian Café. 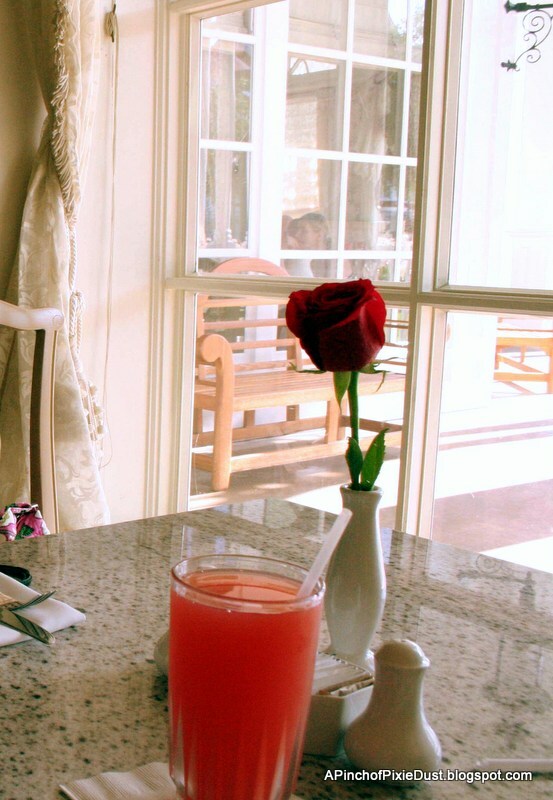 Our server was quick and pleasant, the food was delicious, and the surroundings were delightful. I would love to come back again sometime to try that French toast! It was also nice to have a fancy table service meal at the Grand Floridian for a relatively reasonable cost. 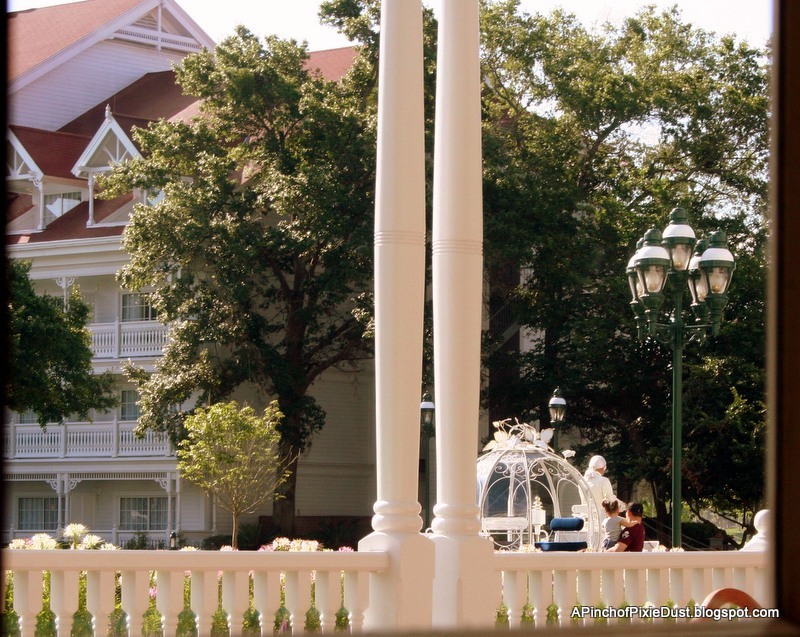 Have you ever started your Disney day at the Grand Floridian Café? Would you go for the Citrus Pancakes or the French Toast? Let us know in the comments! 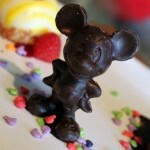 Emma S. is a writer, photographer, Disney cupcake aficionado, and former Disney cast member. She blogs over at A Pinch of Pixie Dust. I enjoyed the lobster eggs benedict a few months ago. While really good, it was a bit heavy for breakfast; I think I would try something different next time. The service was good and the atmosphere was simply beautiful! 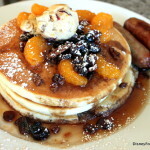 I’ve eaten at the Grand Floridian Cafe for both breakfast and dinner and consider it a bit of a hidden gem. The food is good but to me, it’s the chance to feel like a Grand Floridian guest with a very reasonable price tag! The real floral on the table in the morning is a real “fancy hotel” touch. And I can personally say those citrus pancakes are still delicious when made gluten free. Great for a quiet meal. I had an ADR for breakfast there back in July, but as we were leaving the hotel, someone backed into the car I was driving. It took forever to get the accident report written up, and we missed breakfast, and it was a horrible way to end our Disney trip. Their French toast sounds great though, that was one of the reasons I wanted to go there. Maybe I’ll try it in December. 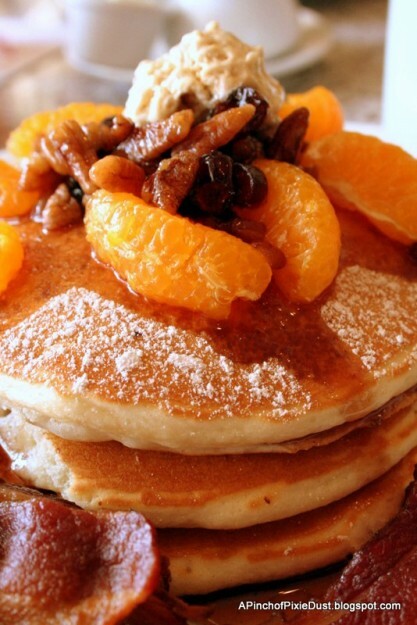 I would love to try to make these pancakes at home, they looked so yummy. Yeah Emma! My favorite Snobbish writer 🙂 Those pancakes look delicious. This will definitely go on my to-do list. And then, a terrible thought came upon me. What if That Fantastic Breakfast has been relegated to the catacombs of Disney cuisine, along the 50’s Prime Time Café fried Boursin? I checked. And wept. And made lewd gestures towards the screen. And the citrus salad appetizer is also gone. They still have a steak dish, thought. Meh. Don’t mind me, I’ll be over Twitter, pouting the pain away. We ate there last fall the staff was great. It was so peaceful for lunch time and only 15minutes from from the bustle of MK. 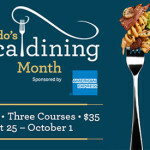 Had a dinner there in September and will not be returning any time soon (at least for dinner.) The best thing that this restaurant has to offer is the quiet atmosphere, and its location in the Grand Floridian. 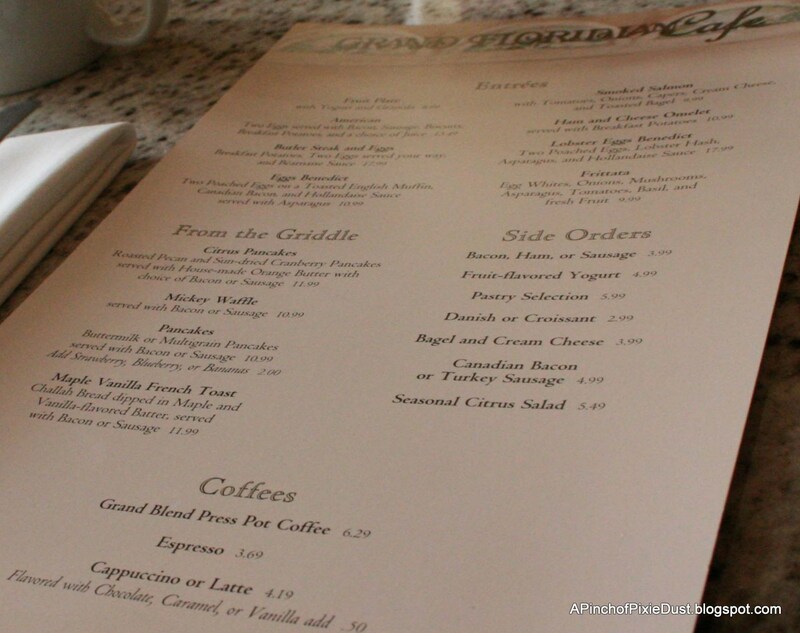 My wife & I have breakfast @ Grand Floridian Cafe at least once every trip we take to WDW. It is, as you stated, simple yet elegant and reasonably priced. Ask for Lori — she is the best!!! Brular — You crack me up!! 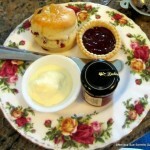 I’m sorry to hear the wonderful dish is gone…hopefully it will come back and we can share it! One of my favorite trip reporters now on one of my favorite Disney sites! 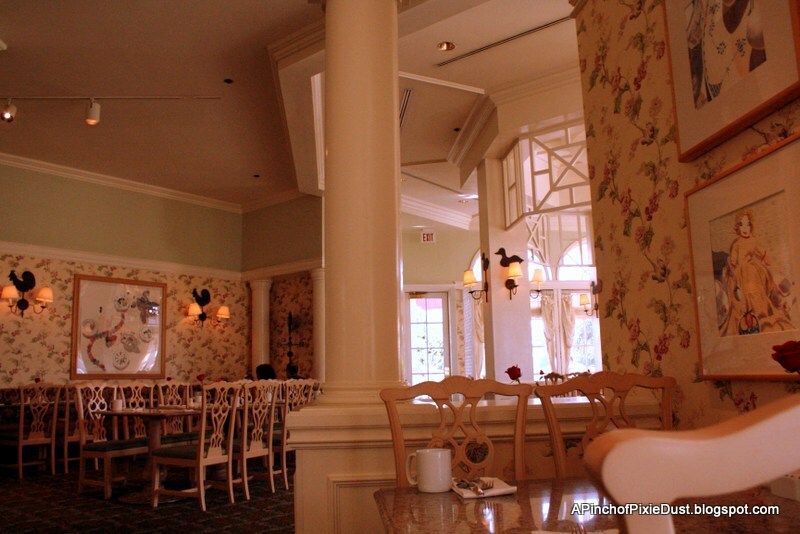 I have been to the Grand Floridian Cafe many years ago and it looks like i need to return soon for breakfast.